Our mission: In our rapidly changing city - one in which development so often means displacement - The Potter's House is a deeply rooted space where we can build relationships across our differences, envision just alternatives, and grow the movements that will make them possible. In order to do that, we need volunteers who share our vision and want to further the work that is already being done here. We have a wide assortment of events that take place in the community space. 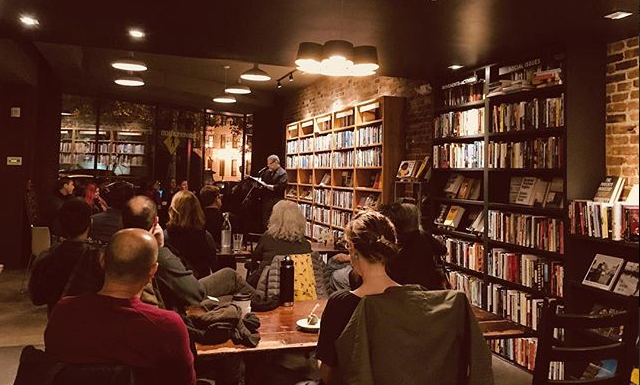 From author talks to activist groups and film screenings, we host a variety of people and we need more folks who are passionate about making those events happen. Commitment: We are excited to welcome in dedicated, passionate volunteers to our team. We are asking for a minimum commitment of 4 months with 1-2 events per month. Each event is approximately 3 hours. Training: We believe in equipping our volunteers and bringing them into our team. You will attend a group training for volunteers and be expected to shadow another event host prior to volunteering independently at events. Volunteers are coordinated and supported by the Community Outreach and Events Coordinator. Prior experience working at The Potter's House? * Yes No, but can't wait to get involved! Thank you for submitting an application to volunteer at The Potter's House. We will thoroughly read through your application and reach out to you about scheduling an interview.